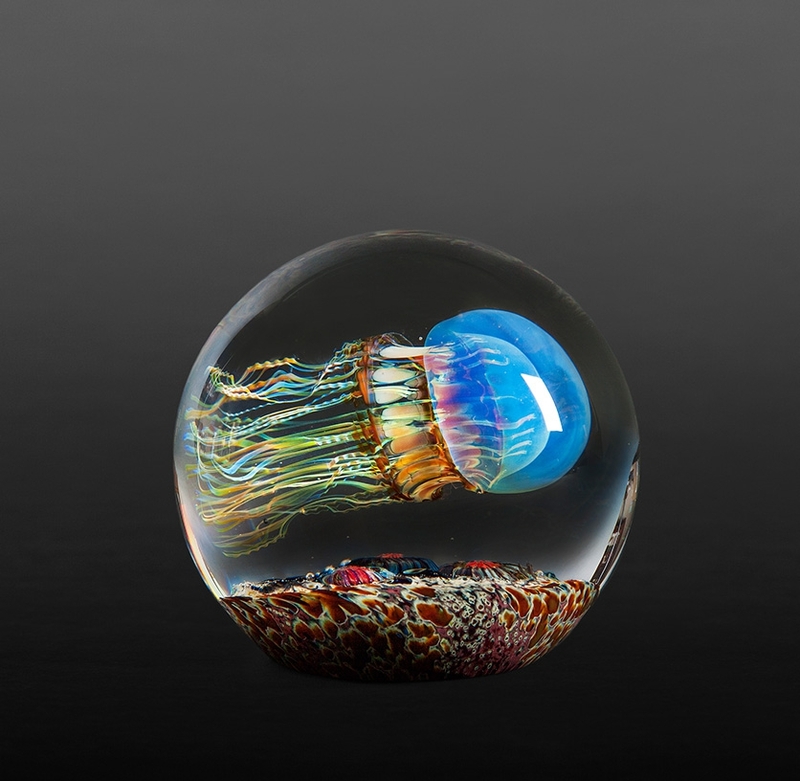 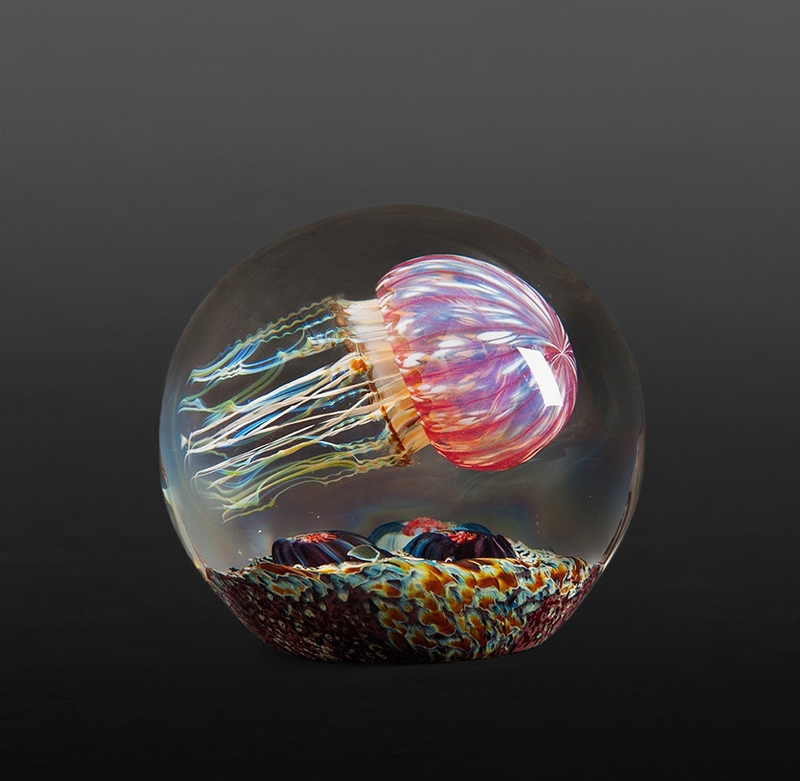 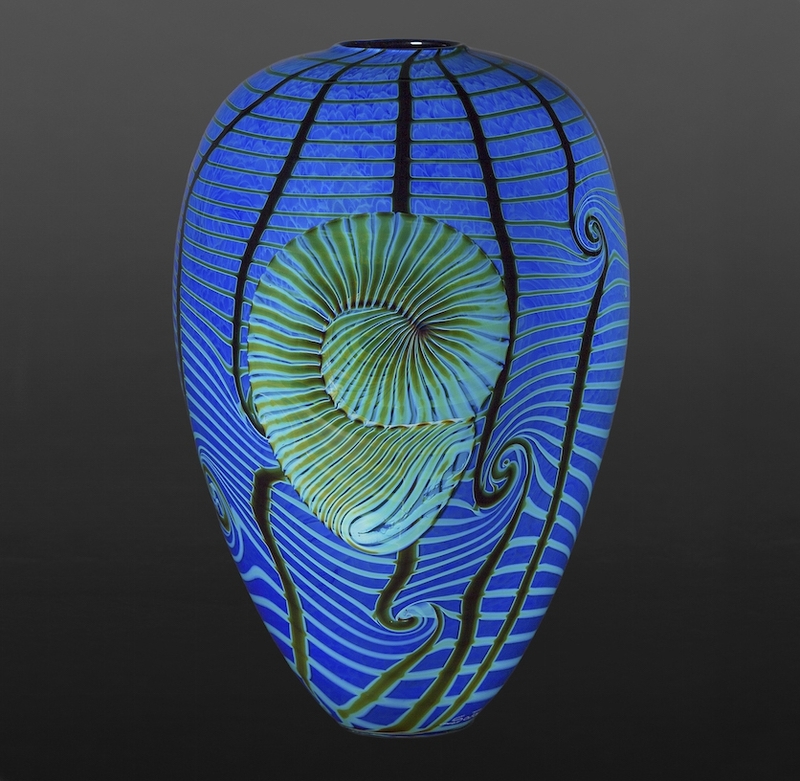 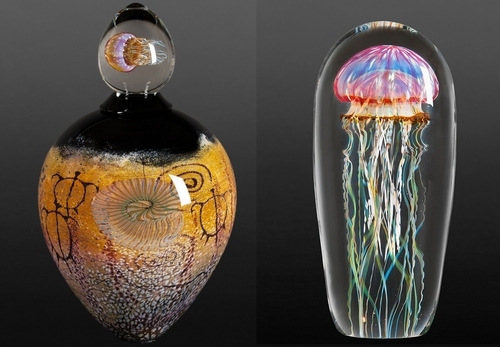 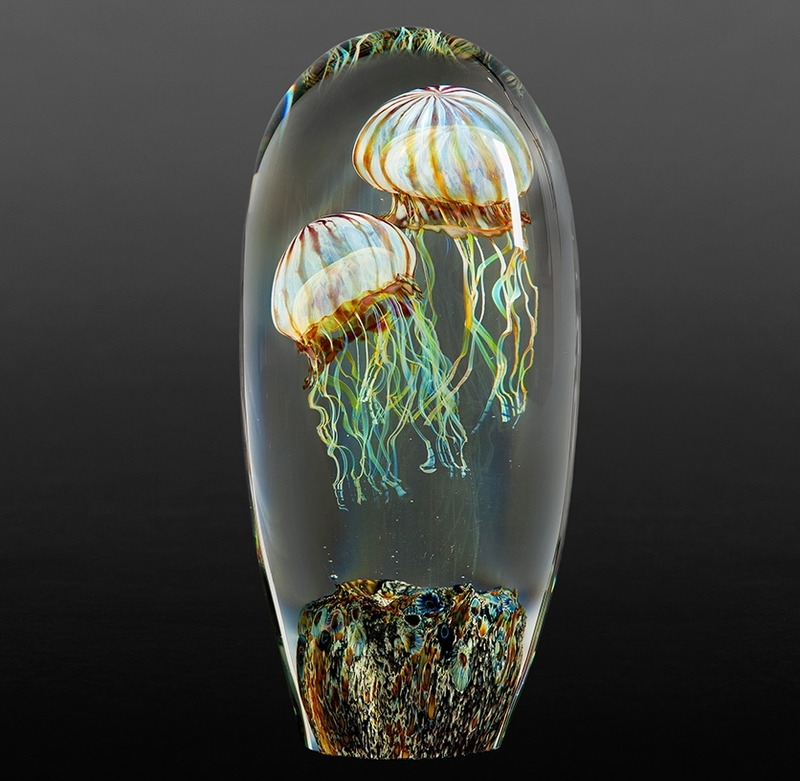 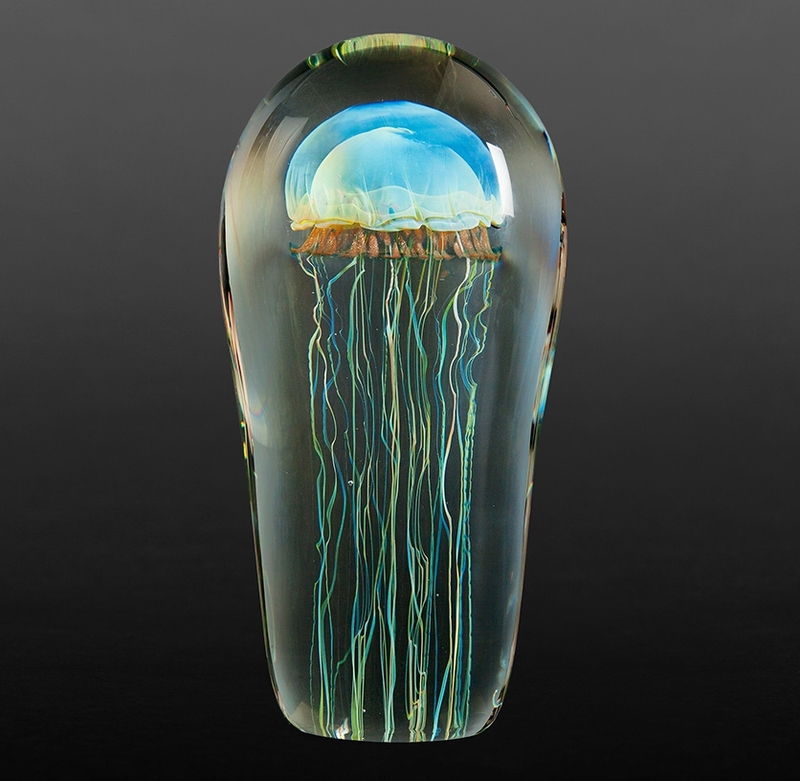 Richard Satava creates amazing glass blown and solid form sculptures. 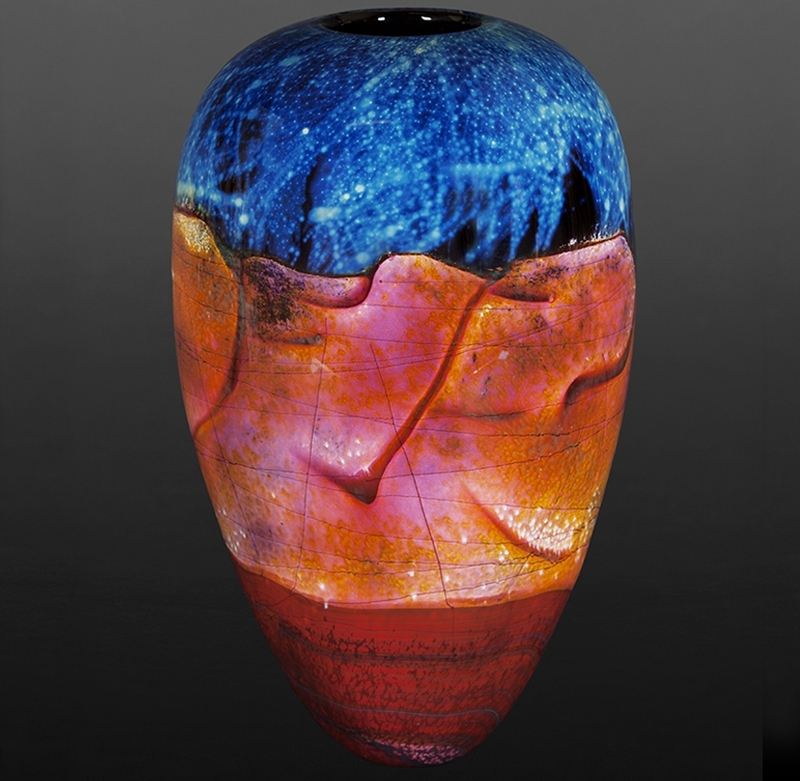 He works from his studio and gallery in Chico, California, which you can visit. 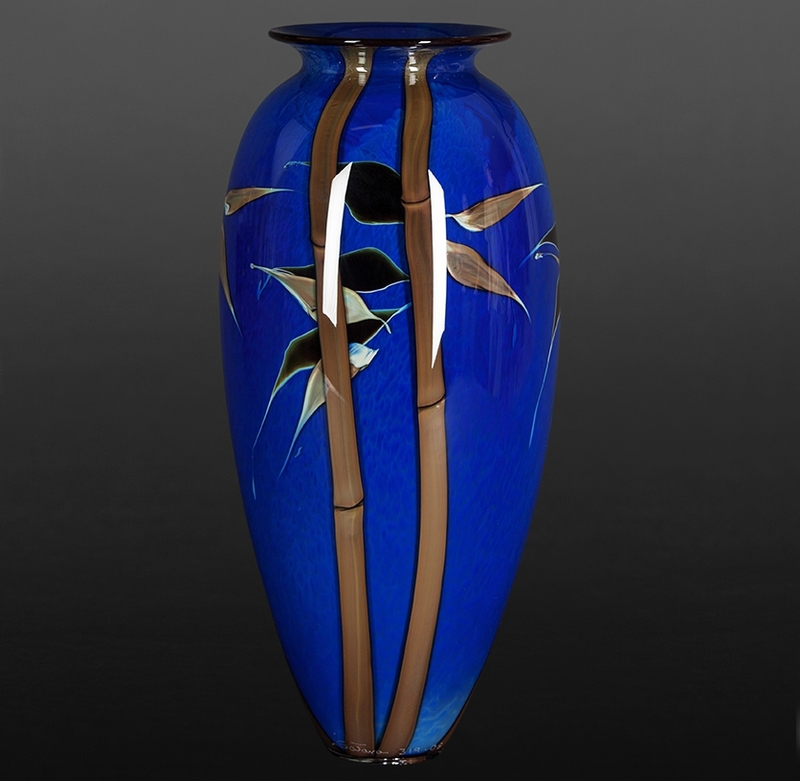 Here he comes up with complex procedures to allow him to construct the intricate designs he is famous for. 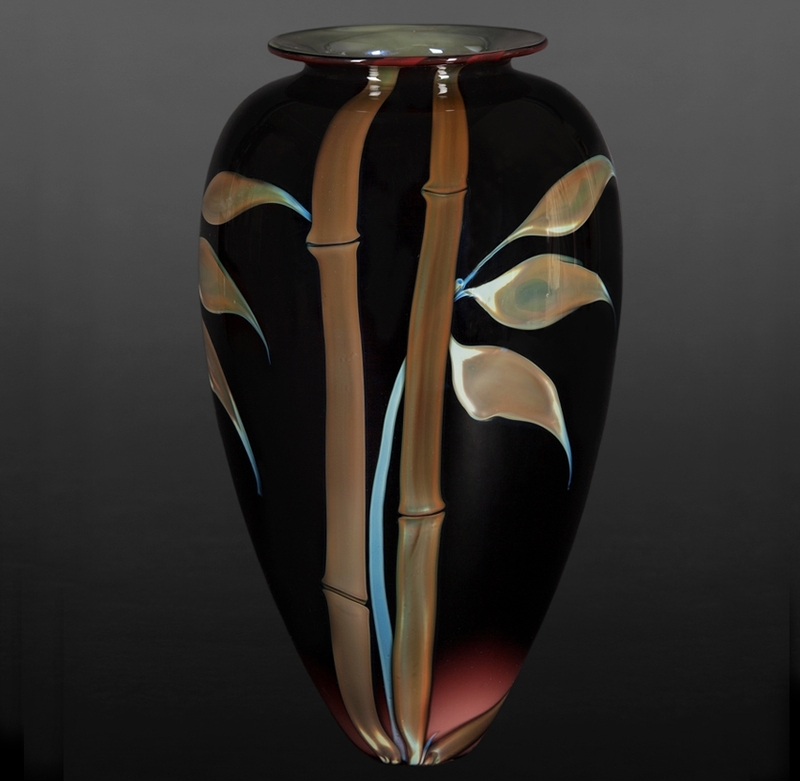 The glass that you see below and above is not painted it is made using different coloured sections of glass. 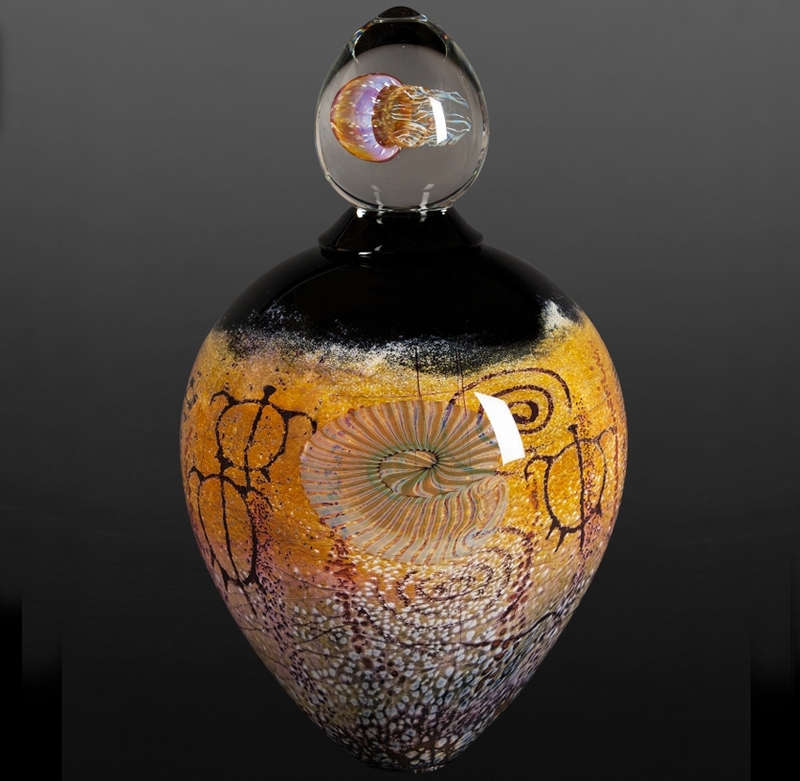 The videos below will tell you more about his history, technique and you can see Satava at work. 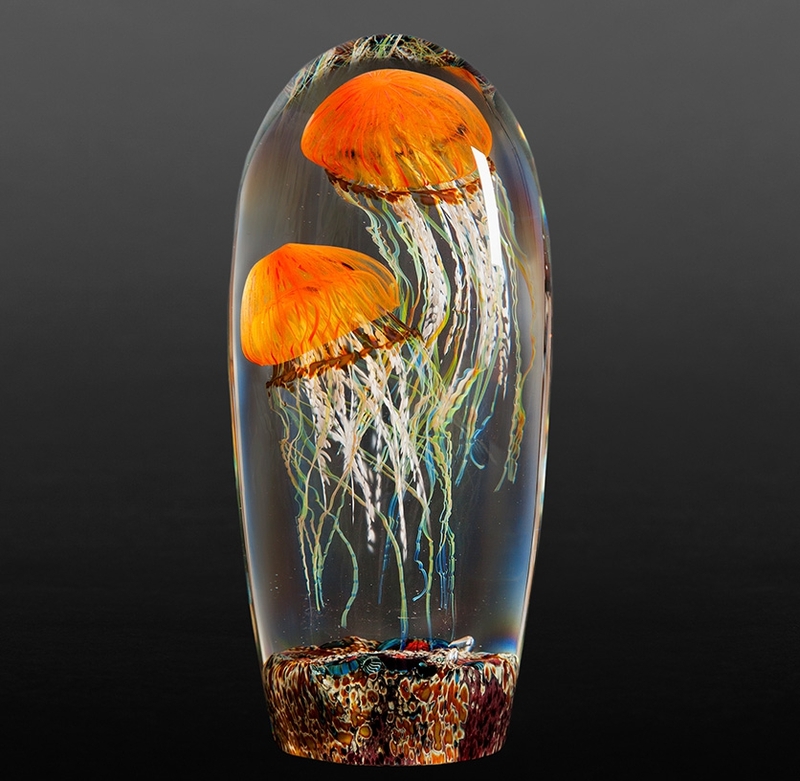 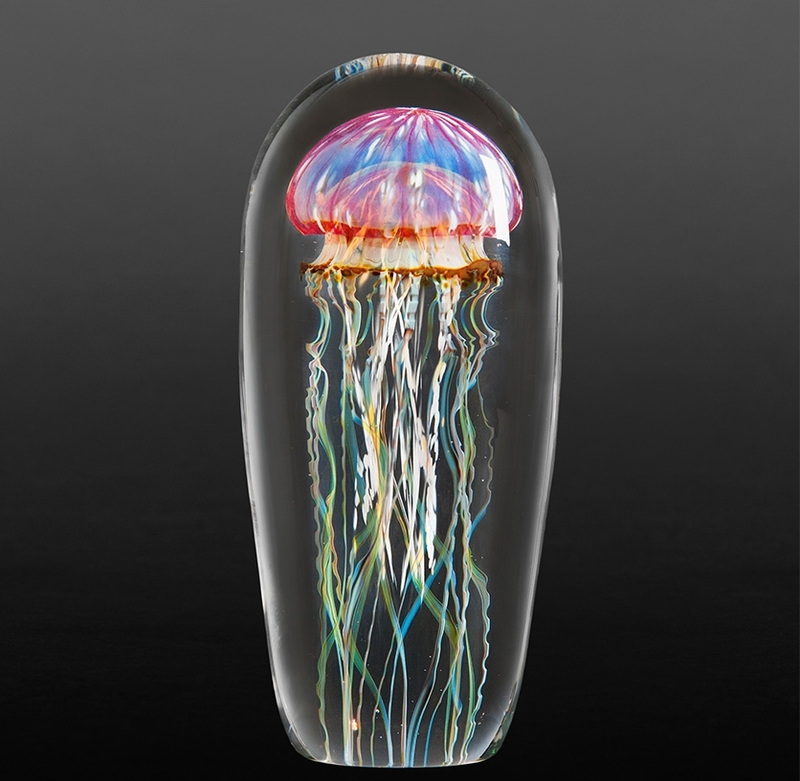 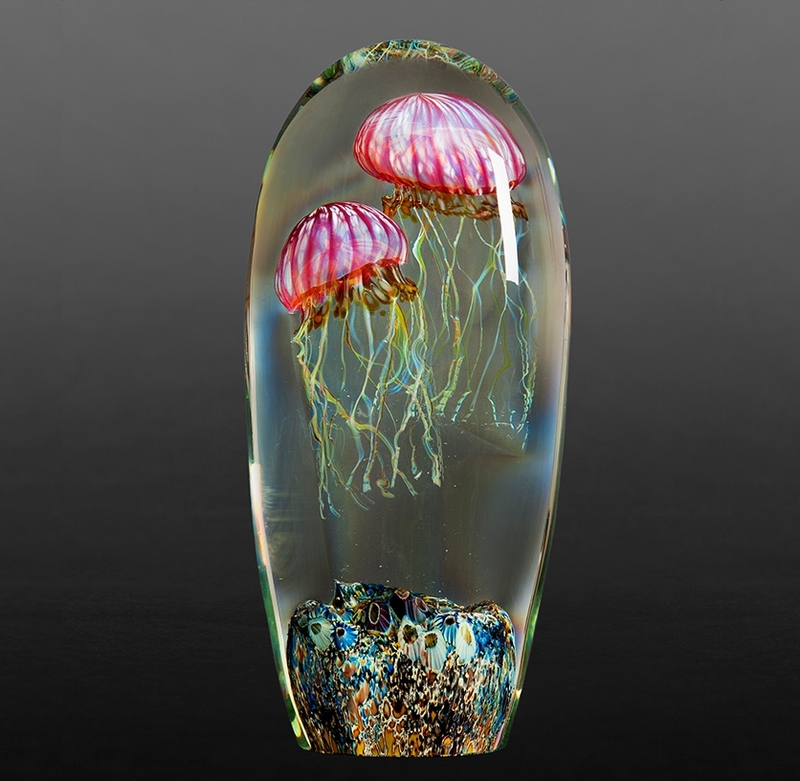 It is amazing how, in his solid glass forms, he is able to construct 3D layers of different coloured glass, to form the shapes of the jellyfish, that almost look like the real thing, swimming in water in a glass jar.